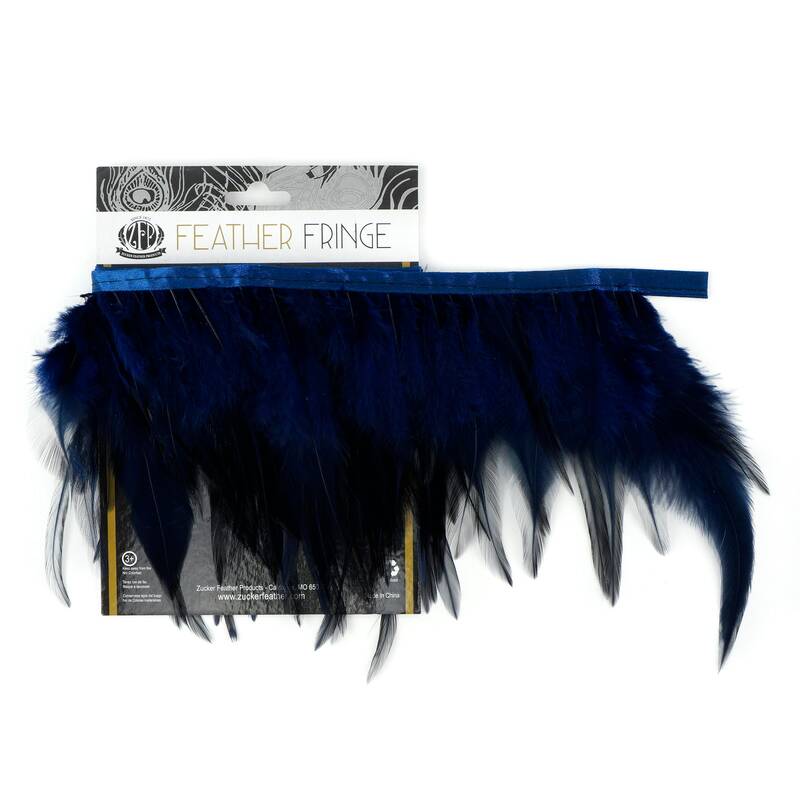 Dyed Saddle Feather Fringe approx 5-6" inches on 1 yard wrapped on a card. 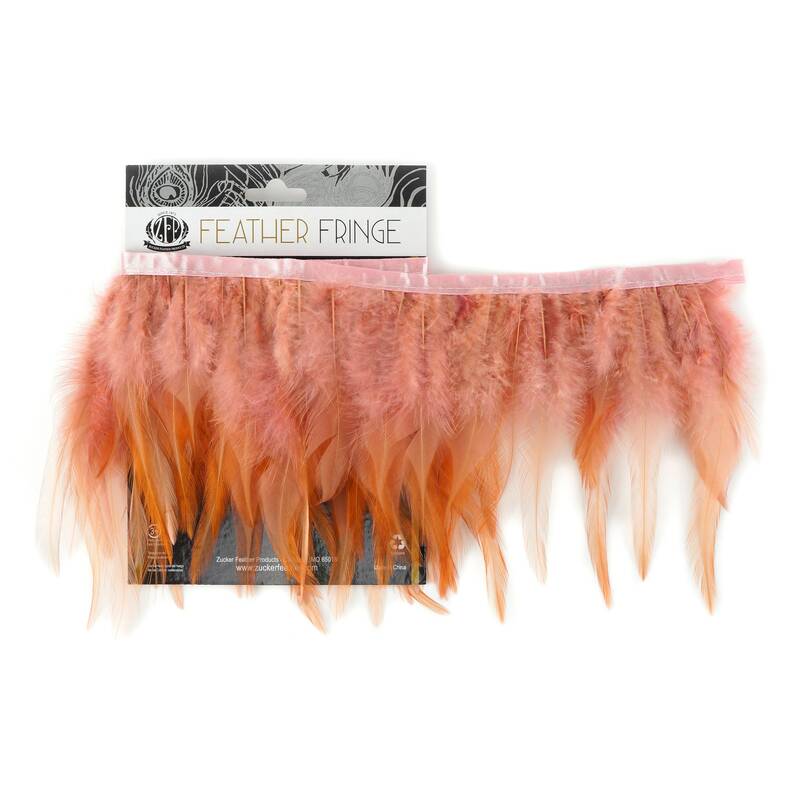 This handmade Feather Fringe is made from Saddle Rooster feathers that have been sewn on to a polyester-blend bias tape. There are approx. 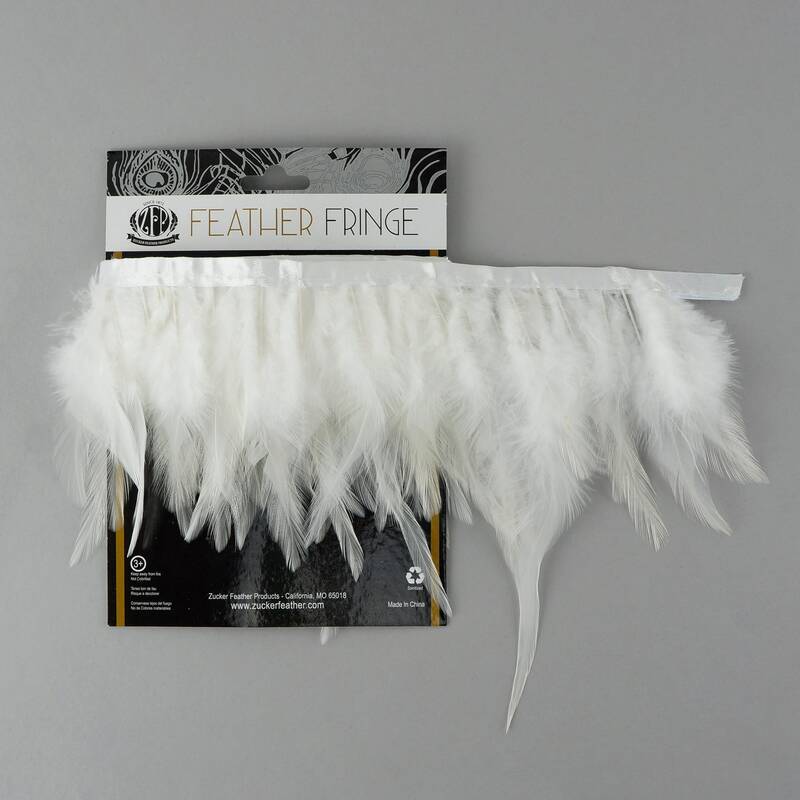 4 feathers per inch. 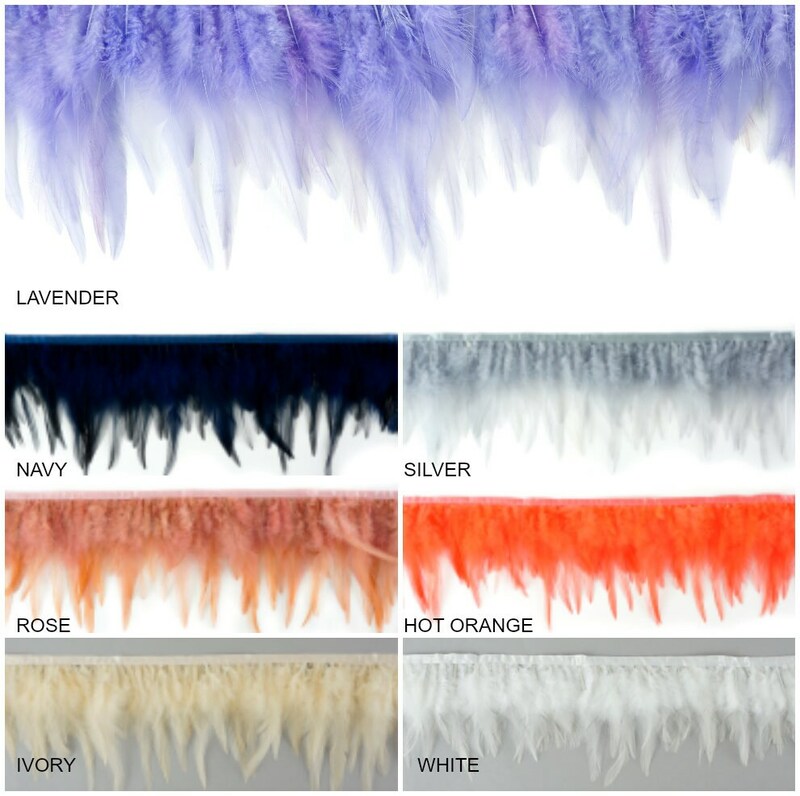 Feathers on this trim are dyed over white feathers. 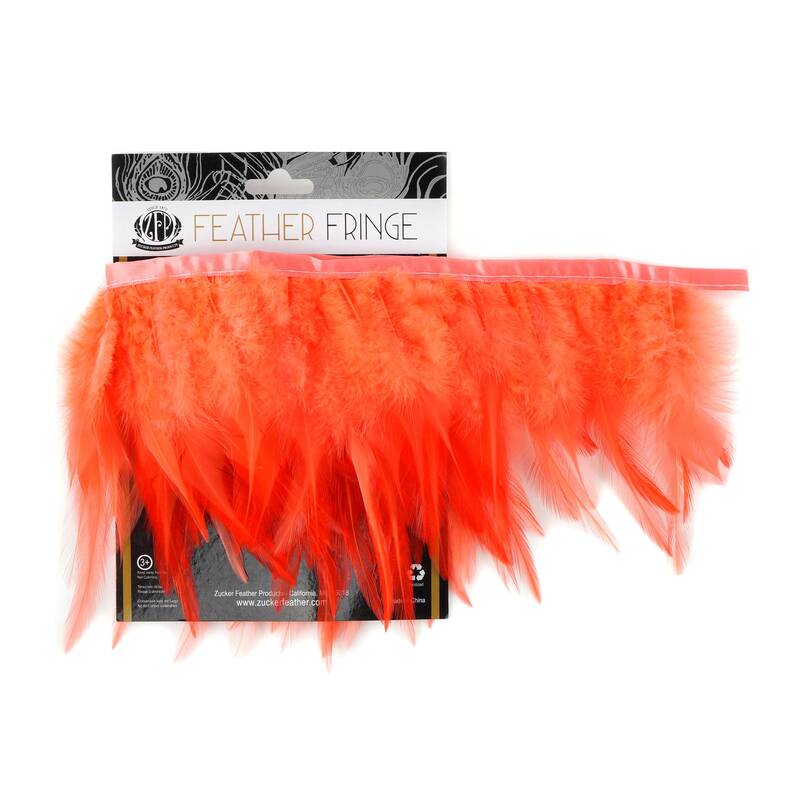 This product is part of our Feather Tapes, Trims and Fringes - Rooster Coque Feather Fringe category. 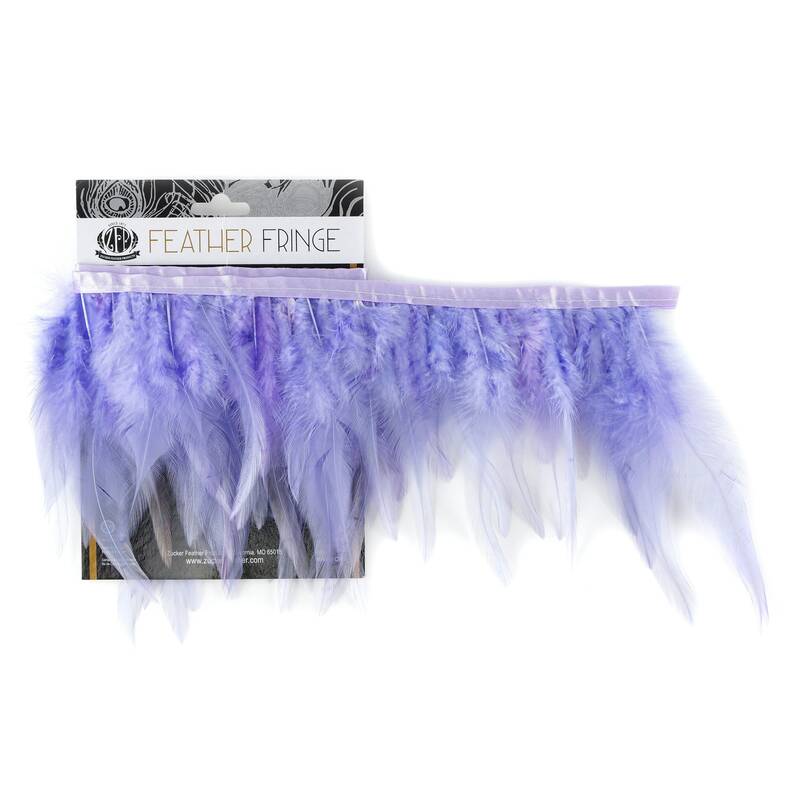 SUGGESTED USES: Costuming, Crafts, Fashion Accessories, Floral, Home Décor, Garment Manufacturing, Mask Making and Millinery. 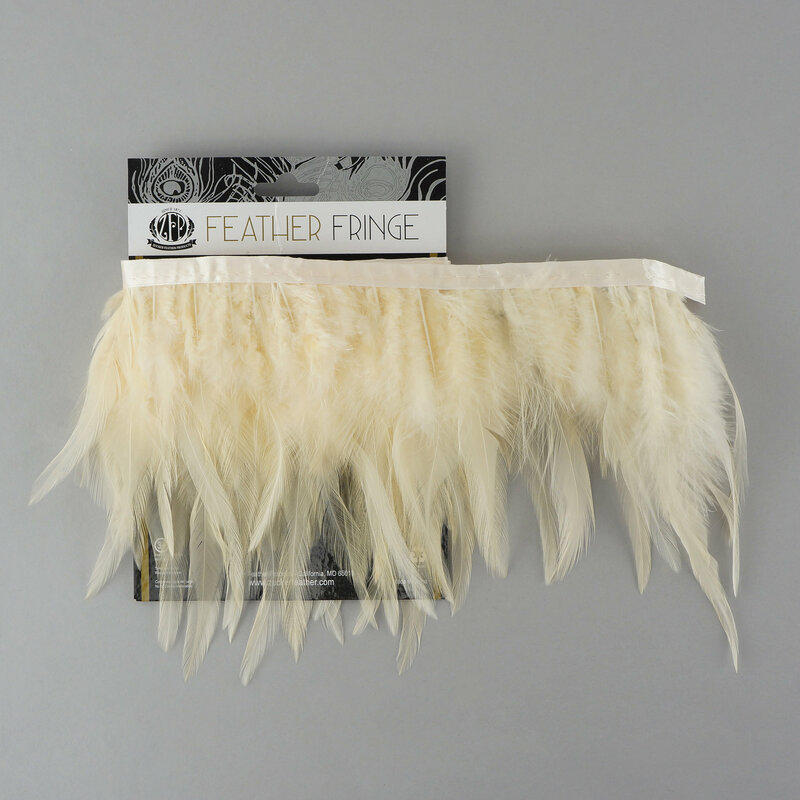 Our products are made with natural materials; therefore each item will have unique differences and variances. Some handmade items or parts have been manufactured by our partners in China.